BRAVE Westerners who dropped their cosy lives to fight ISIS alongside the UK's Kurdish allies face being treated like returning jihadis. The UK is among many countries including Germany, The Netherlands and Australia, who penalise volunteers who risked their lives. Former Brit squaddie Joe Robinson, 25, was arrested on holiday on trumped-up terrorism charges in 2017. His partner Mira Rojkan, a Bulgarian citizen studying Law, was also arrested and accused of engaging in terrorist propaganda. Rojkan was given a suspended sentence, the BBC reported Robinson's mother as saying. 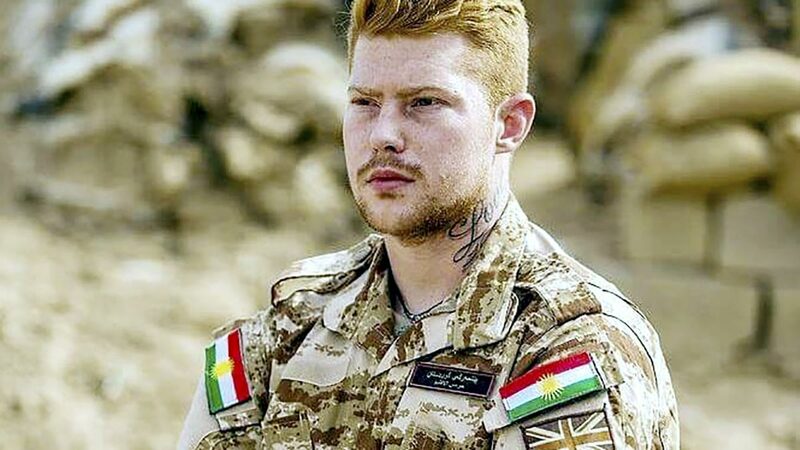 Robinson, who previously served in Afghanistan with the Duke of Lancaster Regiment, previously admitted fighting ISIS but went on to deny he acted alongside the Kurdish militia. He wasn't jailed in the UK, but last September he was jailed for seven-and-a-half years in Turkey. He remained on bail as he appealed his sentence, but weeks before Christmas, he told the BBC he fled Turkey. He said: "I could not accept the sentence and charges as I am not a criminal” adding “I had to take matters into my own hands." Although officials haven't yet jailed returning volunteers in the UK, many others have faced intense scrutiny and prosecution upon their return. Brit teacher and ex-soldier James Matthews, 44, was the first British citizen to be charged on his return with terror offences. But after a two-and-a-half year investigation, all charges against him were dropped. He had worked with the YPG, who have been backed by Brit special forces and coalition air strikes. The group is not listed in the UK as a terror organisation. And it's not the same in the US. A former US Marine claims they're praised for fighting ISIS. Havel Zafer, who served as a US Marine in Afghanistan told The Times it's easier for Americans to join without any threat of prosecution. He added: "In fact we'd likely get embraced for what we were doing when we got home." Even when he was injured on the battlefield, he recalled American medics "laughing and joking with him", while others noted he was doing "good" work. Things are getting weirder by the day. These countries should riot and hang their leaders. 1. Things are getting weirder by the day. These countries should riot and hang their leaders. as are those of Canada/Australia/ New Zealand. All need top to bottom regime change and the gallows for most incumbents.